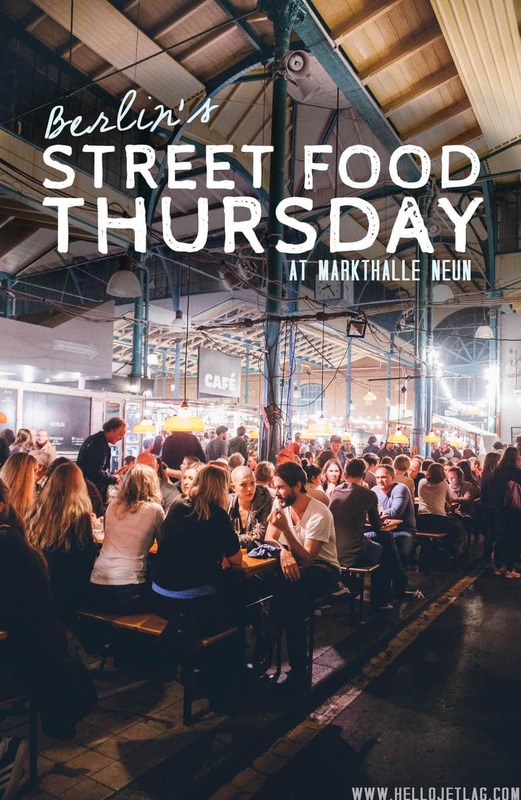 Street Food Thursday at Markthalle Neun is the mother of all street food events in Berlin. 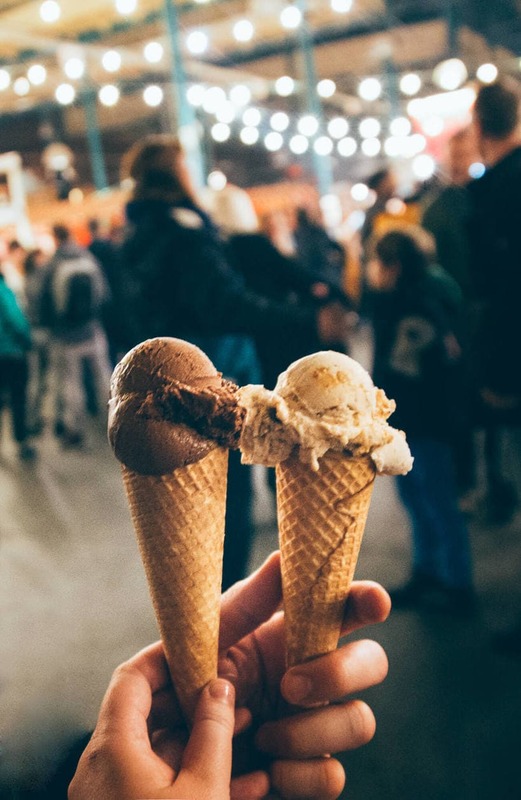 Located in a historic market hall in the artsy neighborhood of Kreuzeberg, the occasion attracts thousands of visitors weekly. 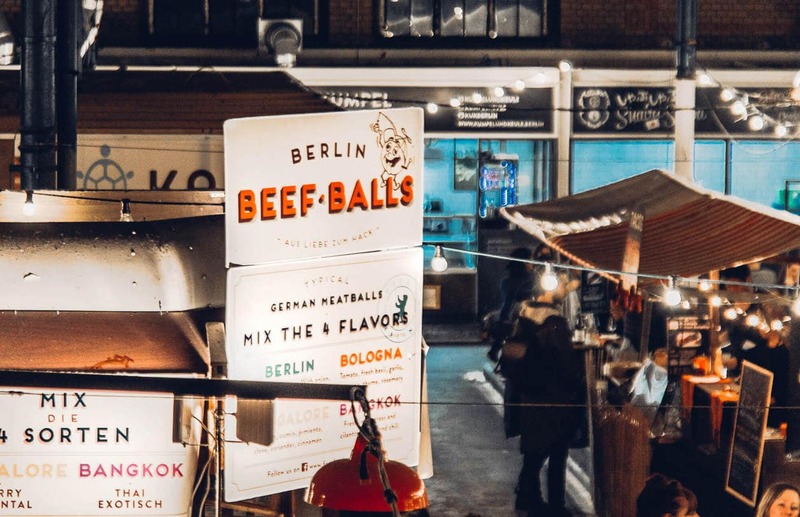 With vendors (many of whom are award winning) serving up dishes from all over the world, along with craft beer and cocktails on tap, Street Food Thursday is a lively and fun place to spend an evening in Berlin. Markthalle Neun (Market Hall Nine) is one of the fourteen historic market halls in Berlin. It was constructed in 1891 but by the 1950’s food in Berlin was only available using ration cards, therfore the food trade slowed. In 2009, Markthalle Neun was in jeopardy of being demolished and turned into a shopping mall, when a petition was started to save the structure. In 2011, it was purchased, renovated and re-opened. 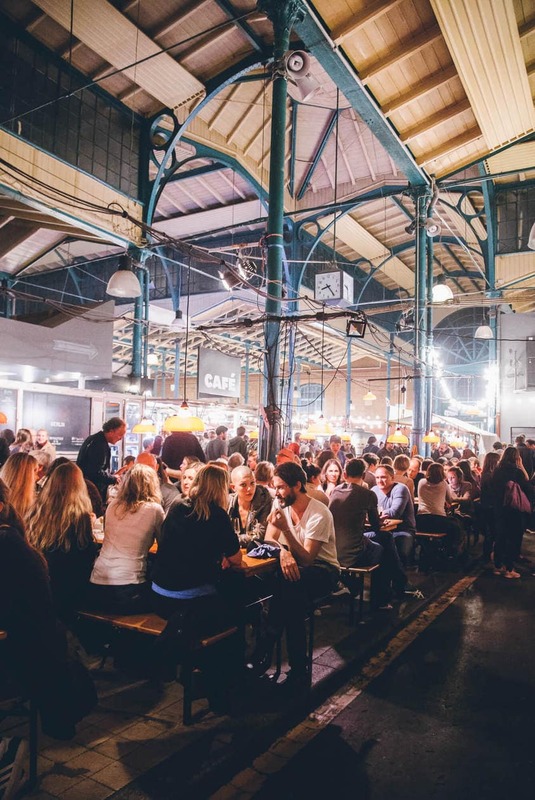 Today, the market hall is a popular local venue hosting weekly food markets and specialty events year round. 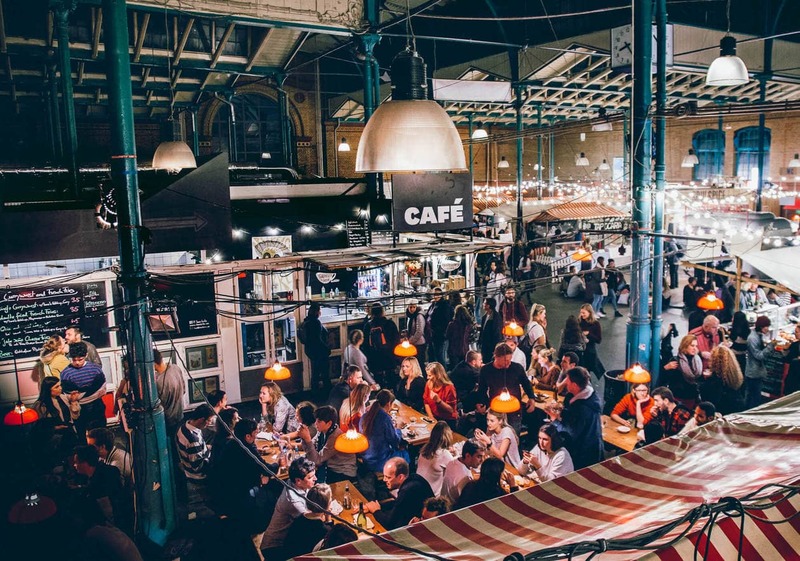 It is 1 out of 4 of the fourteen originals that are still being used as market halls today. 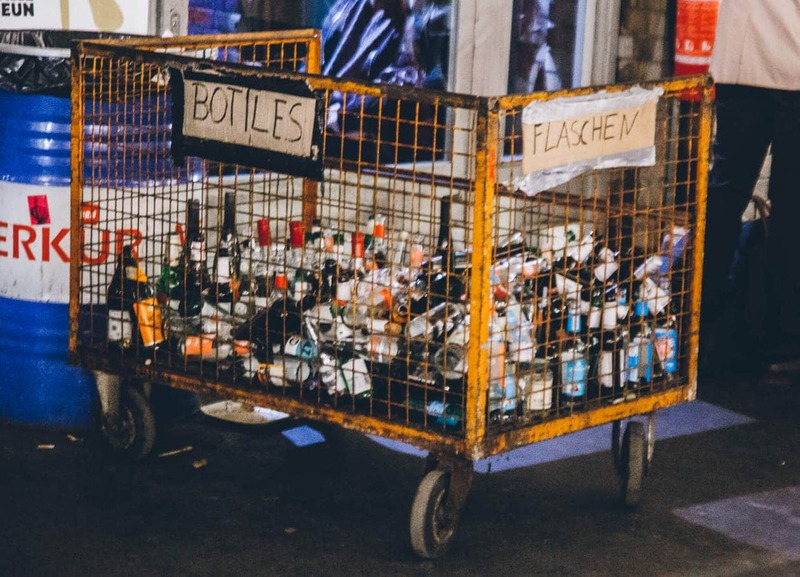 We visited Markthalle Neun on our last night in Berlin and it ended up being my favorite thing we did in the city. 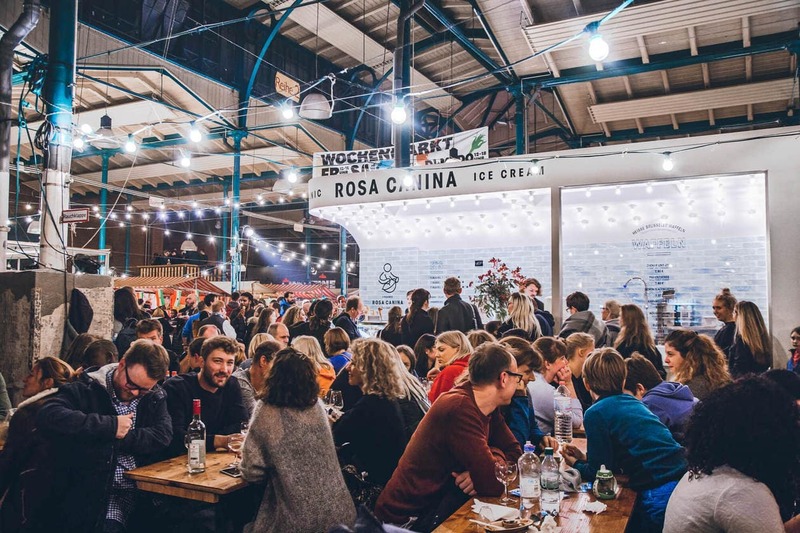 Every Thursday night starting at 5pm, the hall opens it’s doors to 5,000+ people looking for a street food fix. 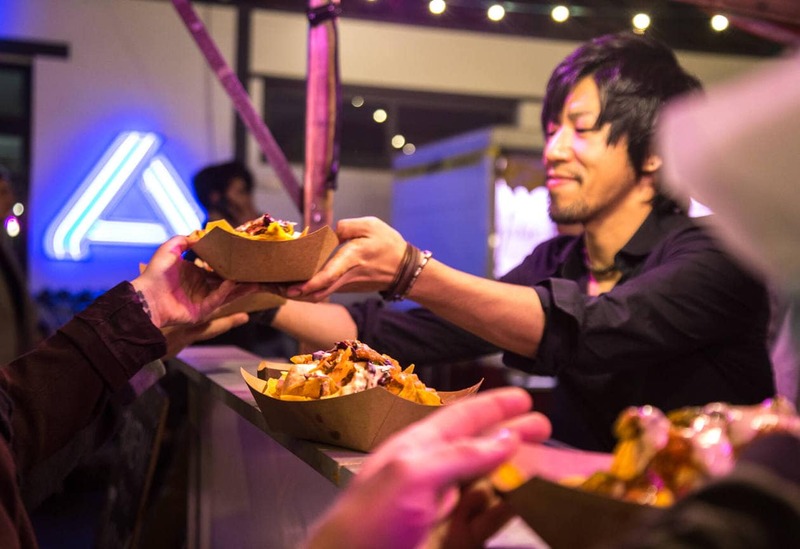 Dozens of booths line the aisles serving all kinds of food, and you can find anything from ramen burgers to spaghetti ice cream. The vendors rotate each week but a few of the most popular have a permanent residence in the hall. Big Stuff Smoked BBQ’s pulled pork sandwich, wild oysters at Küstlichkeiten and Aunt Benny Cake’s carrot cake are among the local favorites. 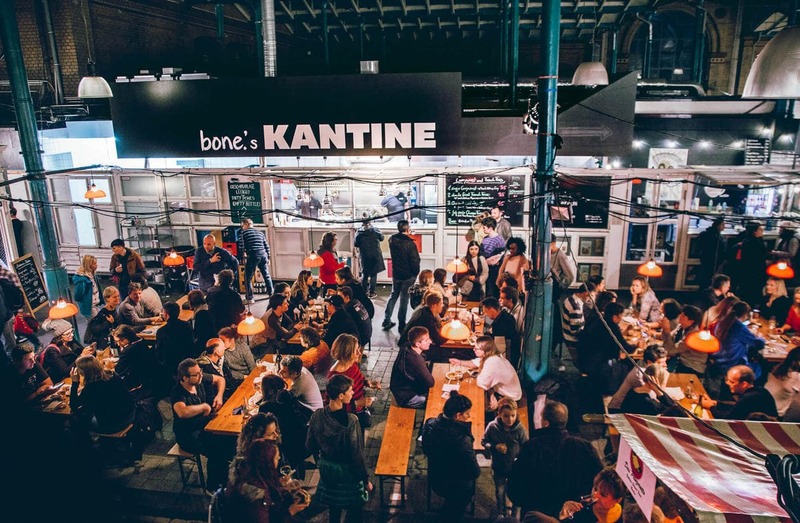 Other vendors to check out: Bone Berlin for one of the most budget friendly booths. Ate Milch for artisan cheese, Mogg’s pastrami sandwich, and Sironi for his infamous loafs of bread. 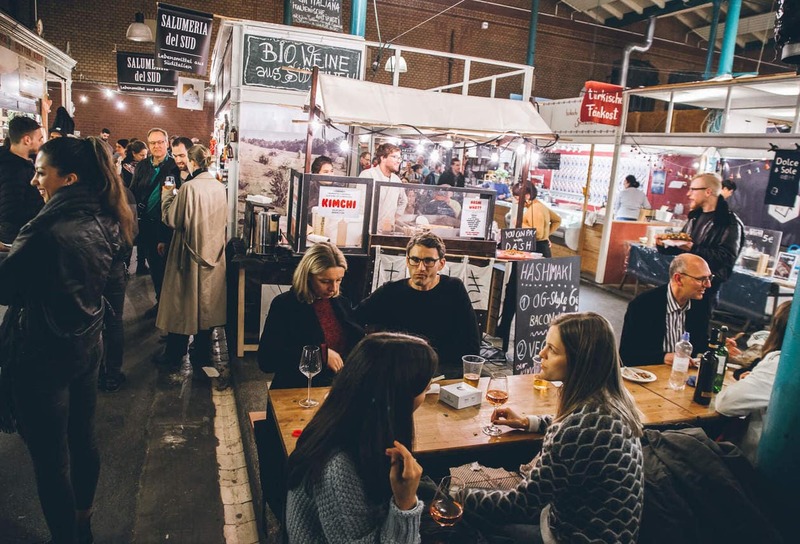 HappyCow.com has named Berlin the #1 Top Vegan City in world, so it’s no surprise that Markthalle Neun has tons of dishes for vegans and vegetarians alike. 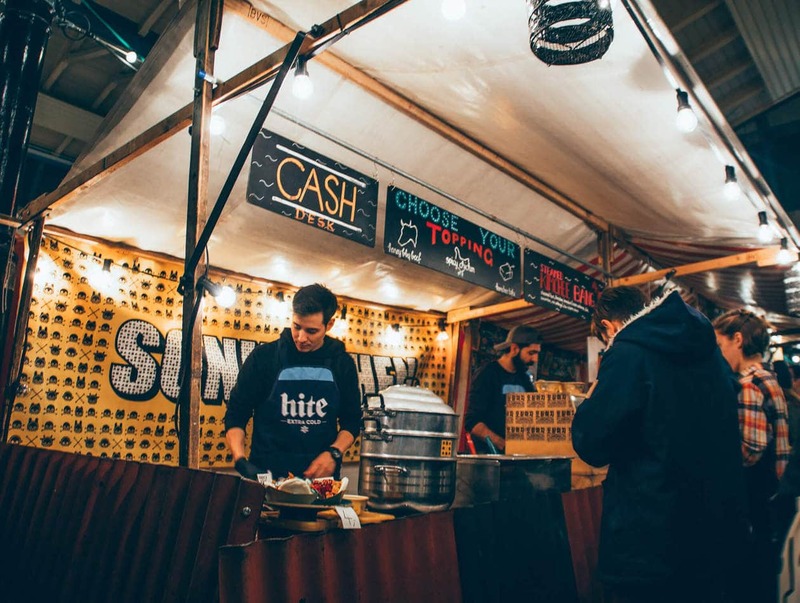 Most of the booths in the market are able to offer vegan/veg friendly options, but there are also several booths that cater solely to this demographic. Booths to check out: Tofu Tussis, Sun Day Burger and Brammibal’s vegan donuts. 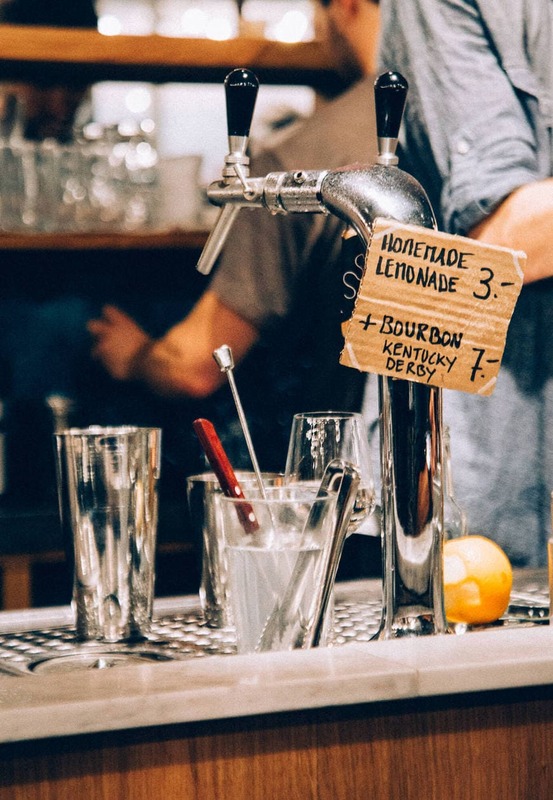 In addition to the endless food options, Markthalle Neun also has everything you need to get your drink on. 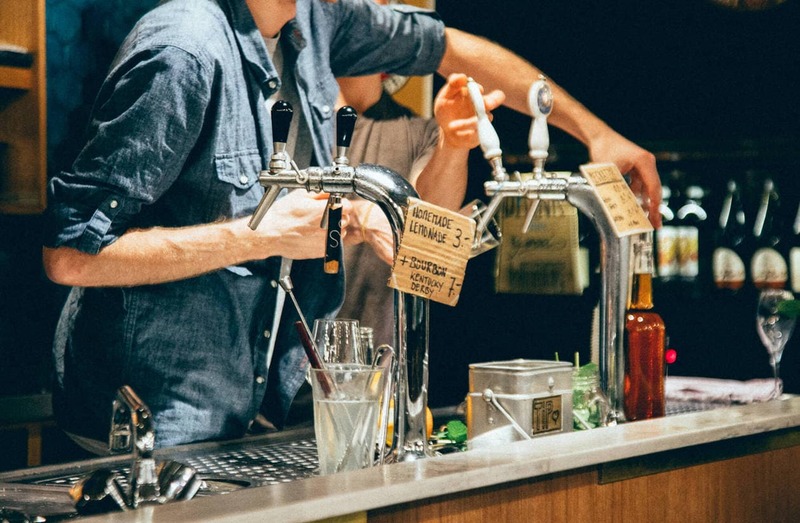 Heidenpeters is a permanent craft beer bar who brews their selections on site. They are said to have the best craft beer in Berlin. 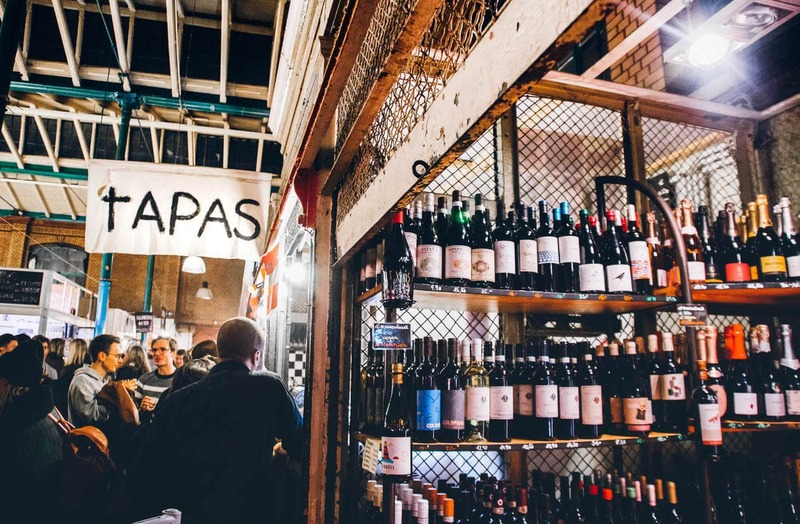 If you’re more of a wine person, check out Weinhandlung Suff, another permanent booth serving over 200 bottles of wine which you can purchase by the glass or bottle. There was also full bar at the entrance of the market hall serving craft cocktails, but I didn’t catch it’s name. 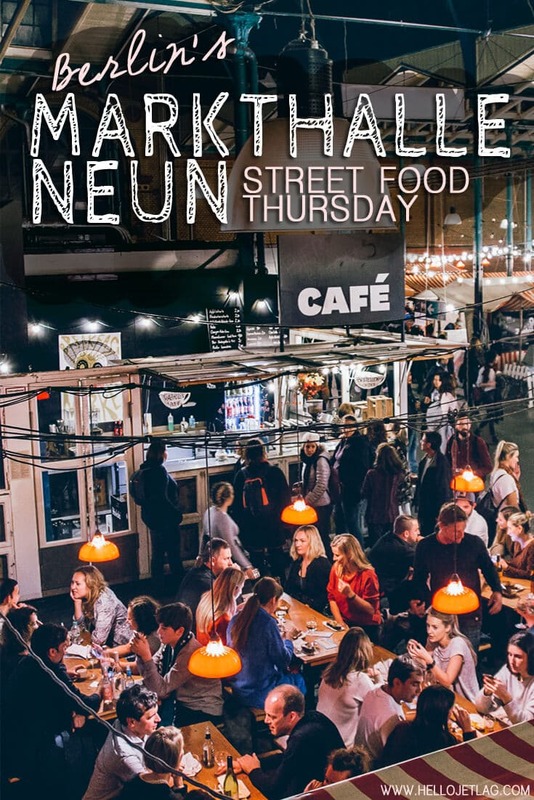 In addition to Street Food Thursday, Markthalle Neun runs several weekly events such as a food market on Friday & Saturday, and a breakfast market on every third Sunday of the month. 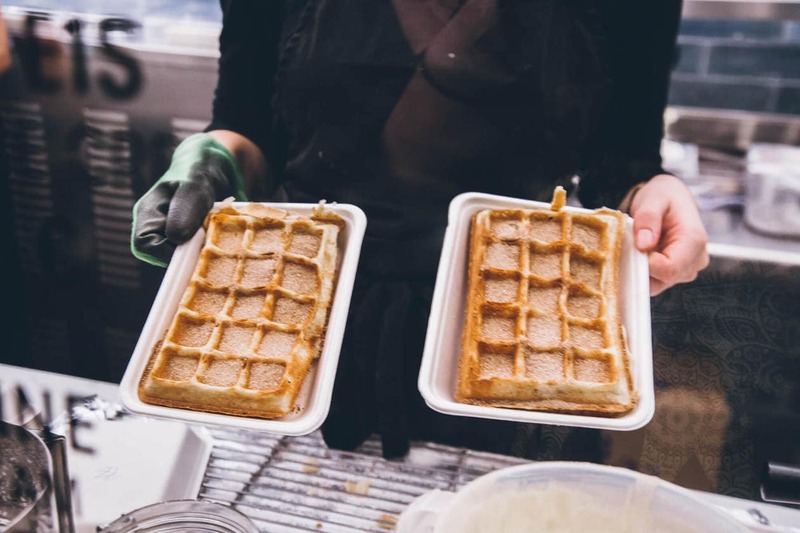 They also host annual festivals like the Coffee Festival, Cheese Festival and Sausage & Beer Festival. 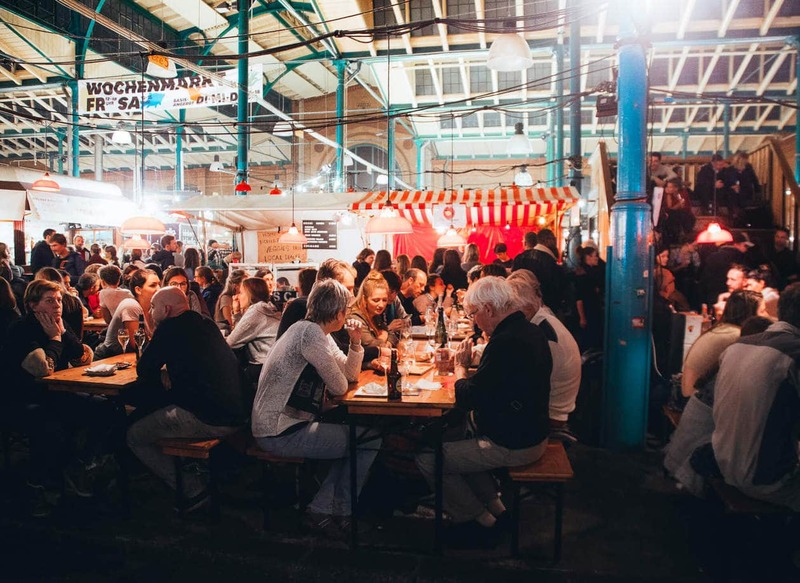 For a schedule of Markthalle Neun events visit their website here. Also, many of the vendors listed in this article are permanent fixtures in the market hall, and they are open for business during the week. 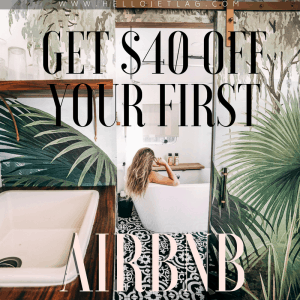 Just make sure to do a quick Google search of their hours before heading to Kreuzberg. 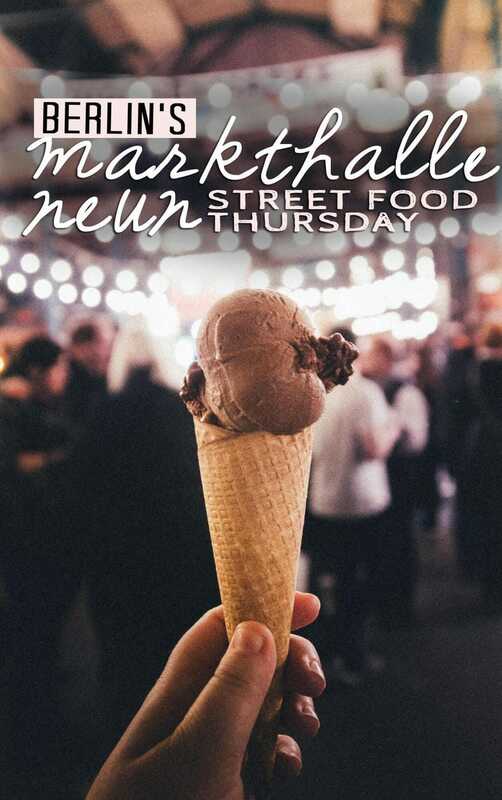 ARRIVE EARLY Street Food Thursday is popular and the food you probably want will be sold out before 8pm. Also, it’s almost impossible to score a seat if you don’t arrive at opening, so also be prepared to stand and eat. BRING CASH Most of the vendors are cash-only. WALK AROUND KREUZEBERG If you like artsy-cool neighborhoods, you’ll love Kreuzeberg. 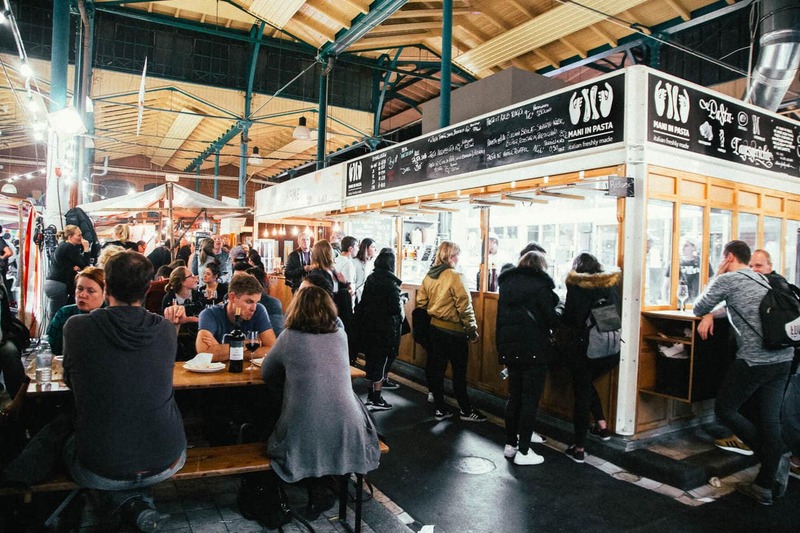 Plan your day to combine a visit to Kreuzeberg before or after the Street Food Market. It’s a lively area filled with street art, shops, cafes and bars. It’s super unique with a grungy, alternative feel, and it was my favorite area in Berlin. WEAR NON RESTRICTIVE PANTS Just kidding. But not really. RESTROOMS There are limited restrooms in the Markthalle and they cost 50c. CHILDREN There’s a small children’s play area for families but again, I recommend going early if you bring kids as it gets very busy.